Australia’s ABC television tweeted support Sunday for its documentary series The Magical Land of Oz, which asserts that the force of “human induced change has been rapid and dramatic,” leaving many animals in dire straits. 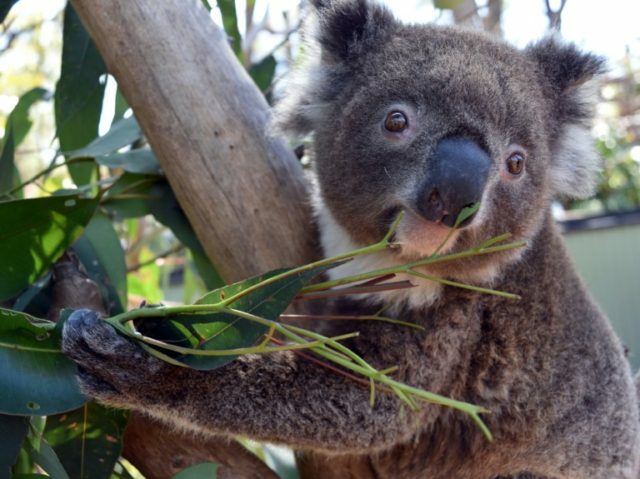 As a result, the koala population is finding it harder to extract enough water from eucalyptus leaves to stay hydrated, the outlet proposes. All of this, Yang sustains, proceeds from human-induced climate change. The demise of the koala is just one of countless ills attributed to “climate change,” joining other cosmic disasters such as a slump in coffee production, devastating hurricanes, a drop in the population of Hawaiian monk seals, and the decimation of migratory songbirds. Manmade climate change — the idea that human emissions of carbon dioxide into the atmosphere are significantly driving global temperatures upwards with catastrophic results — has become the scapegoat for problems ranging from the mass deaths of reindeer to the creation of “ghost forests” along the U.S. Atlantic seaboard. Last year, songwriter Stevie Wonder said that climate change had caused the cancer that killed legendary soul singer Aretha Franklin in August. In 2008, veteran Loch Ness monster hunter Robert Rines gave up his search for Nessie after 37 years, saying that the trail had gone cold. The monster had probably been killed by global warming, Rines surmised.